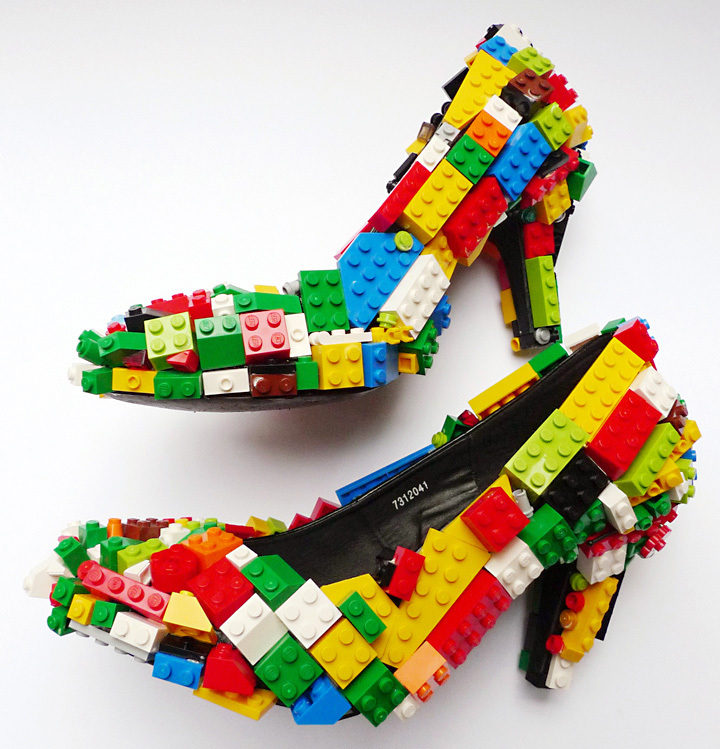 regular stilettos pepped up with lego bricks. 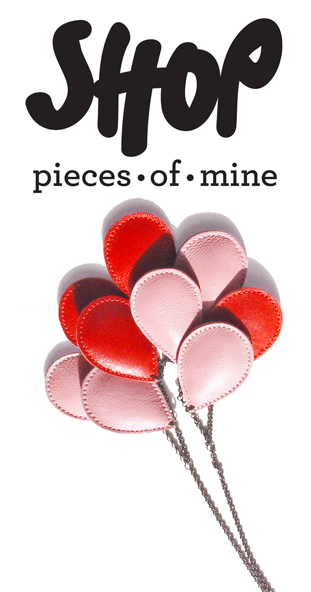 would go well with the plastic-people adorned shirt. previously: some cool vintage lego ads. talán kicsit félve, de bevállalnám. jól menne a műanyagemberkés inghez. 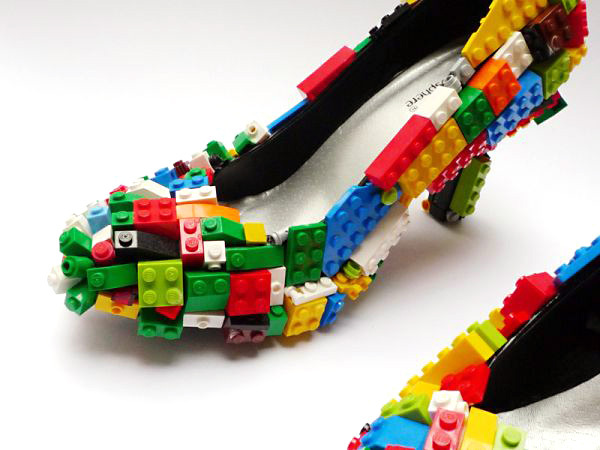 I would wear Lego shoes!